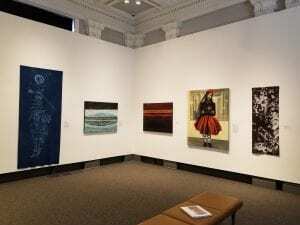 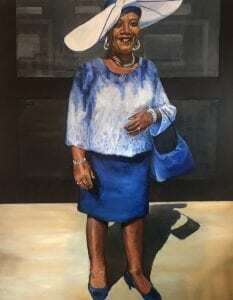 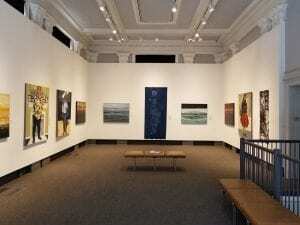 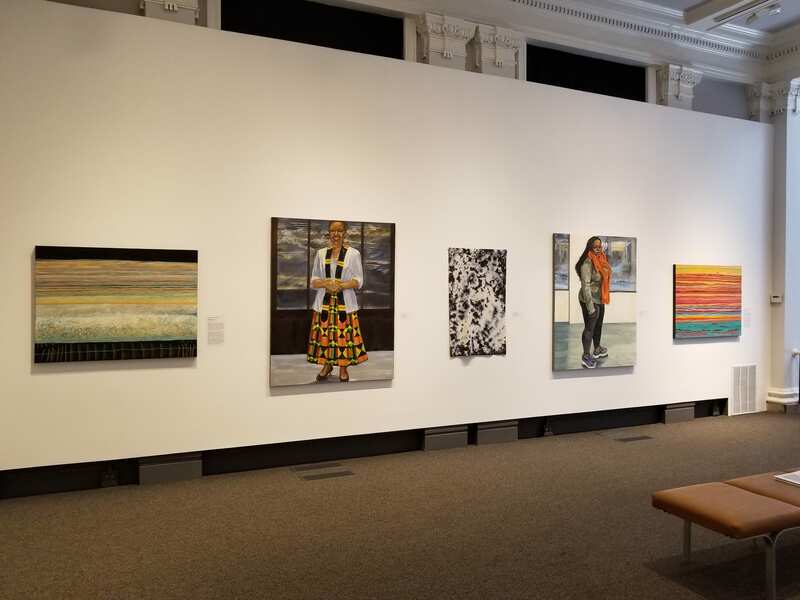 The Carnegie Center for Art and History presents The Art of Elmer Lucille Allen, Sandra Charles, and Barbara Tyson Mosley, an exhibition of work by three prominent local artists. 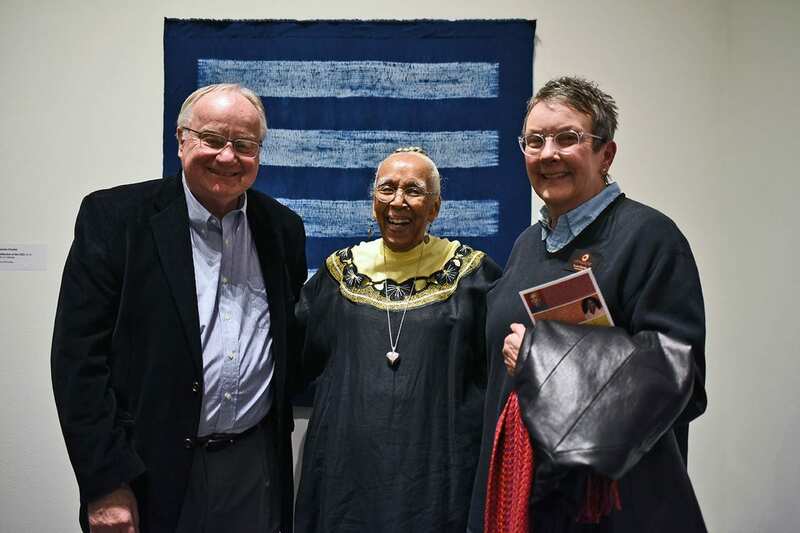 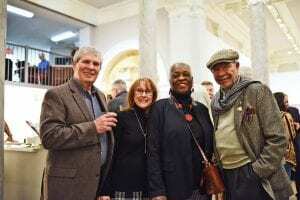 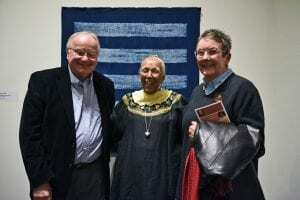 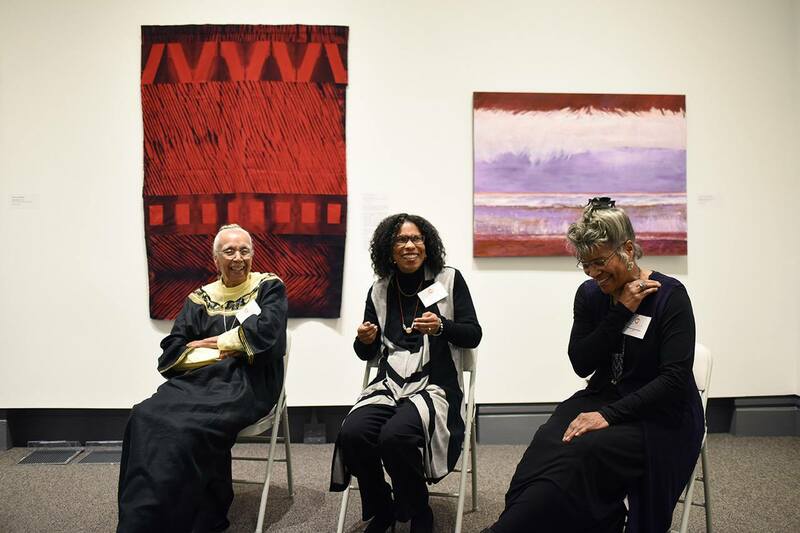 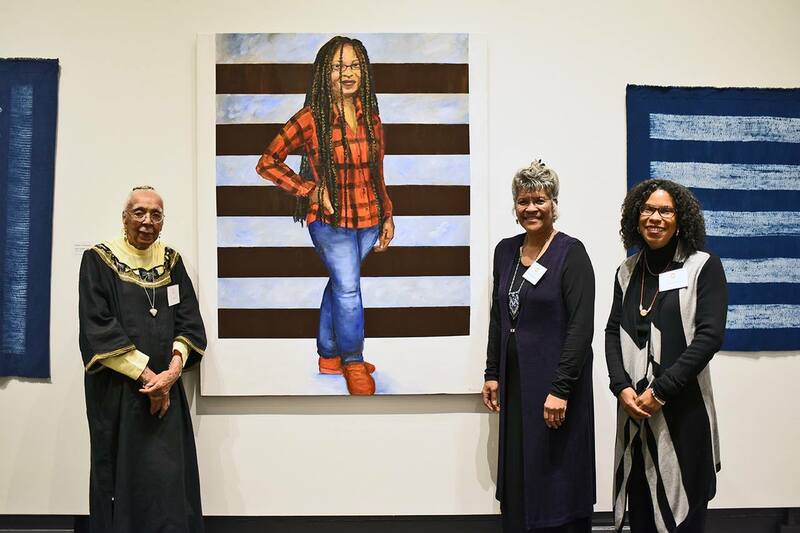 Artists Elmer Lucille Allen, Sandra Charles, and Barbara Tyson Mosley are three Louisville artists who have formed strong bonds of friendship through their art. 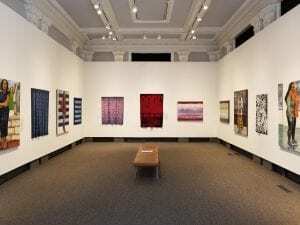 They all view art as a way of communicating and sharing everyday experiences in creative form, but each artist has a distinctive way of expressing what stimulates her creativity. 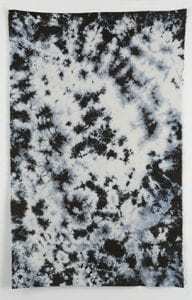 Elmer Lucille Allen creates richly colored cotton and silk shibori wall hangings that reflect her scientific background both in style and process. 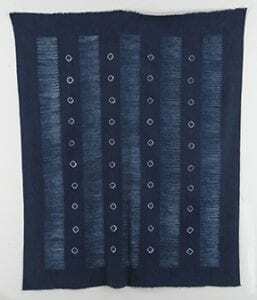 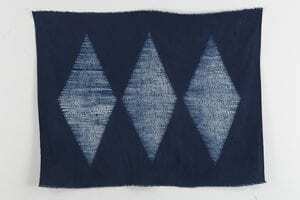 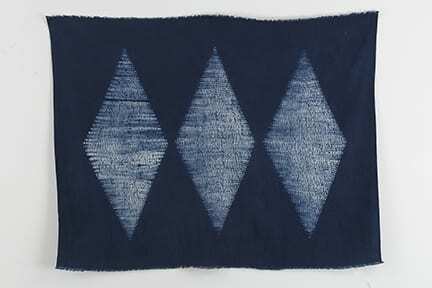 She is able to translate geometric patterns of triangles, squares, diamonds, and circles masterfully using the serendipitous–and sometimes fickle–Nui, Iajime, and Arashi shibori methods. 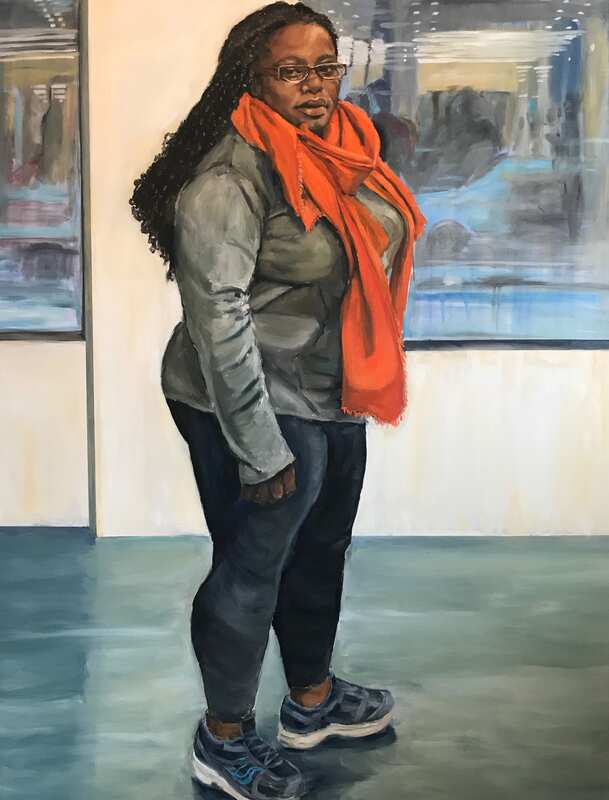 Sandra Charles is an interpretive portrait painter using facial expression and bodily gesture to celebrate the strength of African American women. 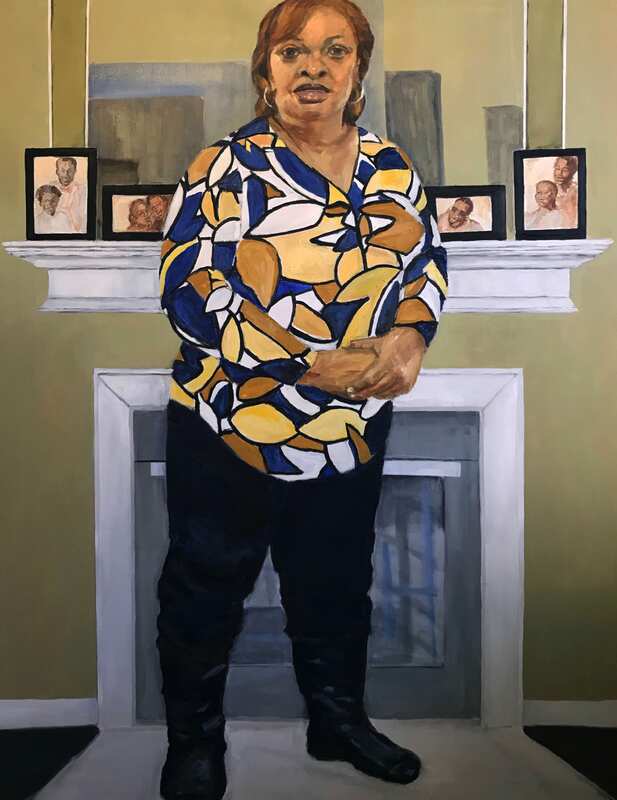 Her paintings capture the self-confidence of individual, everyday people, while simultaneously tying their personal journeys to the larger historical context of African American experience. 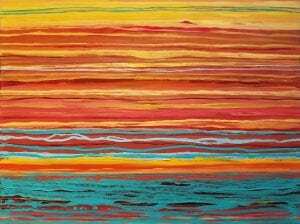 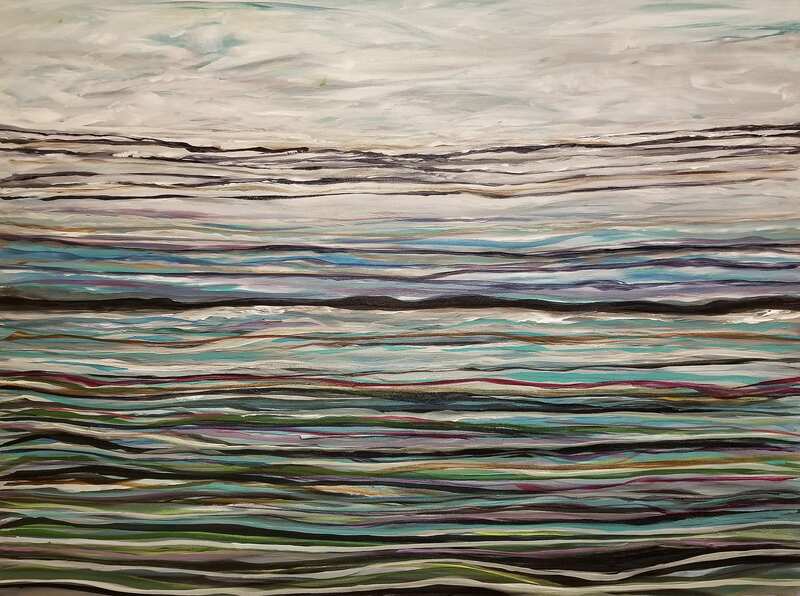 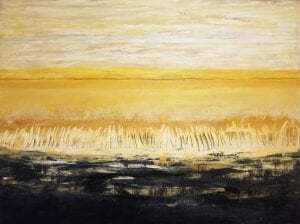 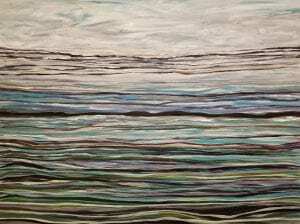 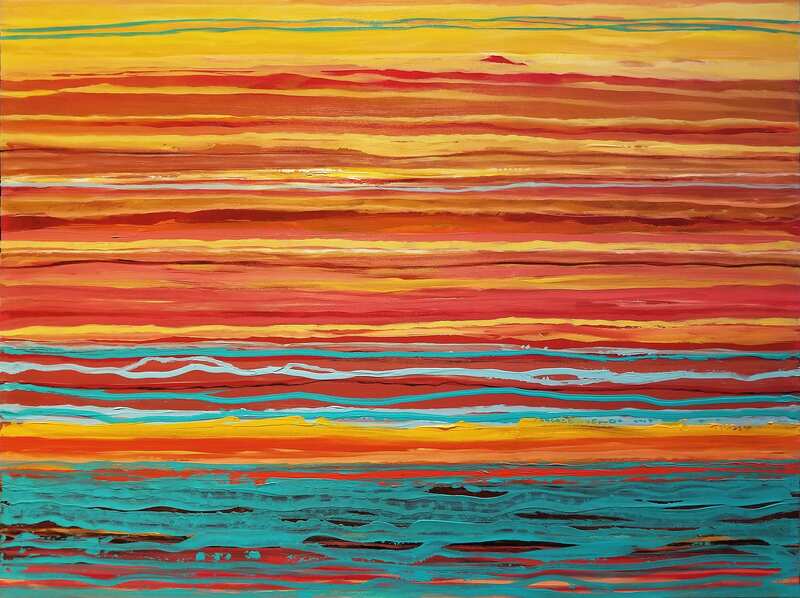 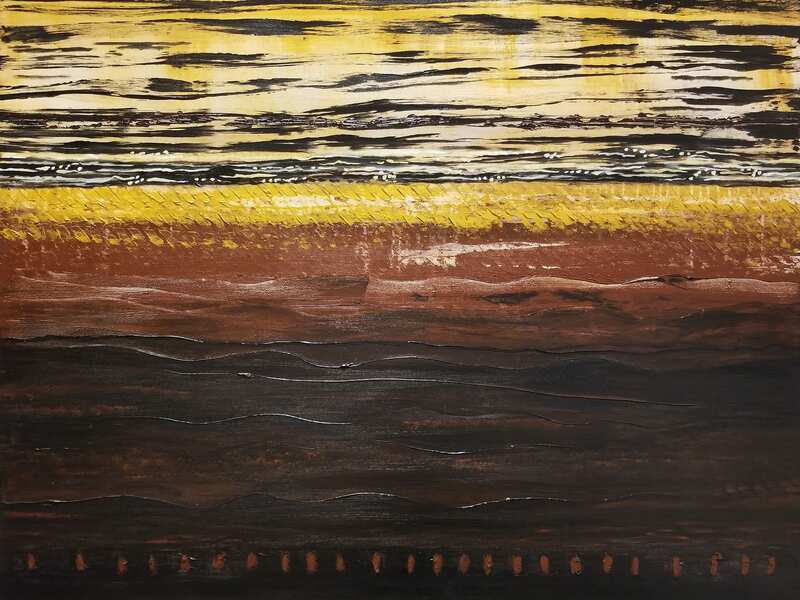 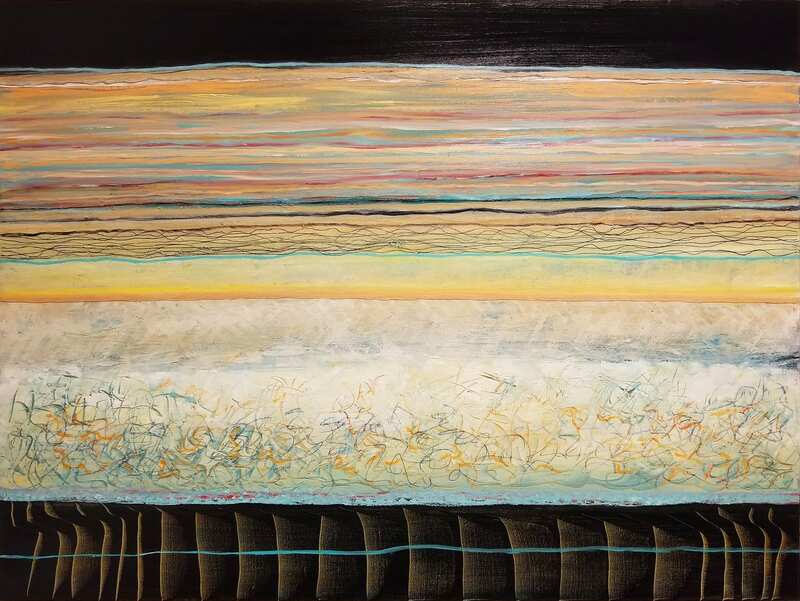 Barbara Tyson Mosley uses the canvas to express the beauty of landscapes and seascapes in abstract form. 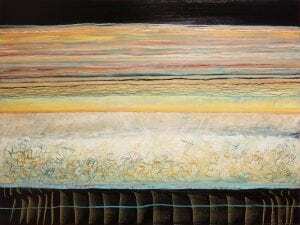 Her work vividly reveals changes in light and color as dawn breaks into day and the subtle shift as dusk slips into night. United by the use of color and texture, this exhibition brings together the unique, contemporary, and traditional styles of these artist friends. 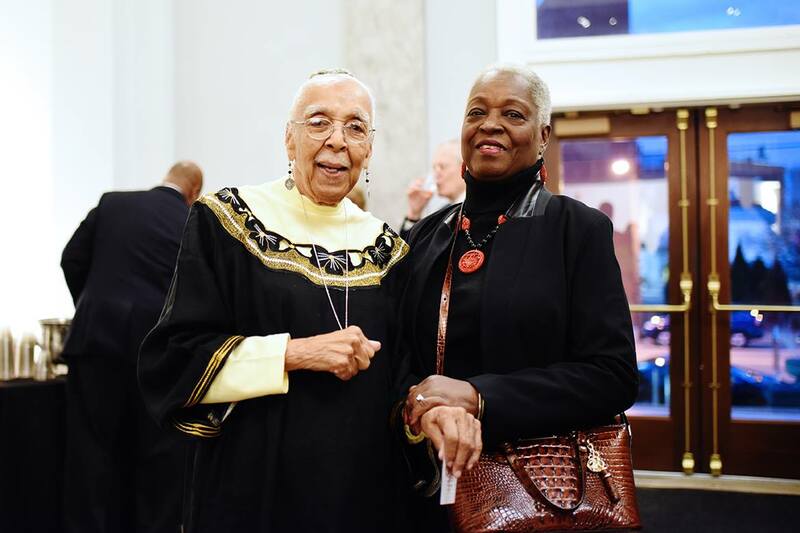 Elmer Lucille Allen was born in Louisville, KY and earned an undergraduate degree from Nazareth College (now Spalding University) in 1953 majoring in chemistry and minoring in mathematics. 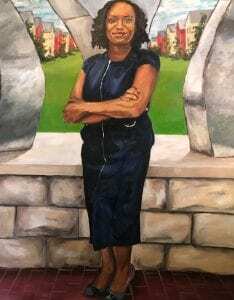 In 1966, she became the first African American chemist at the Brown-Forman Company, rising to senior analytical chemist before retiring in 1997. 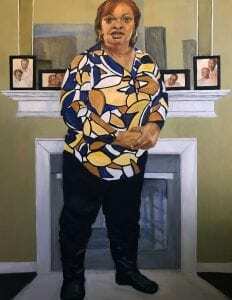 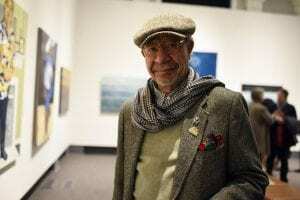 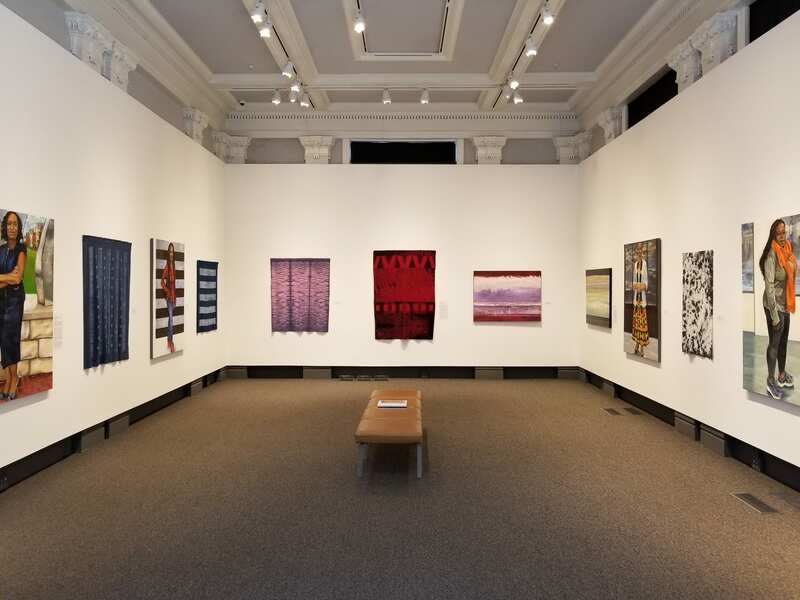 A champion of continuing education, she received a Masters of Art from the University of Louisville in 2002 at the age of 71, beginning a second career in art. 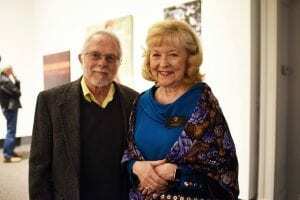 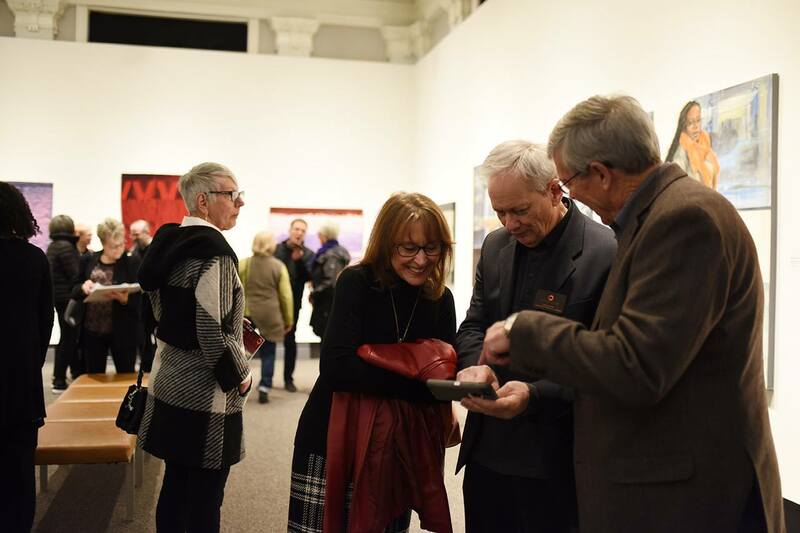 In addition to exhibiting her own work, she was also the volunteer curator/director of the Wayside Christian Mission’s Wayside Expression Gallery from 2005 to 2017. Allen has received numerous art and community-based awards, including the first Community Arts Lifetime Local Achievement Award, the first Strategic Progressive Leaders and Achievers with a Shared Heritage (SPLASH) Advocacy Award, the Presentation Academy Towers Award for Arts and Communication, and a Louisville Visual Arts’ Legacy Award: In Memory of Julius Friedman. 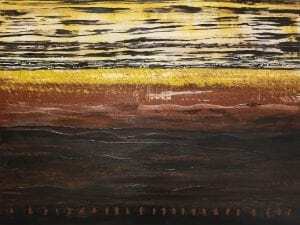 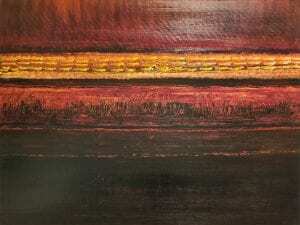 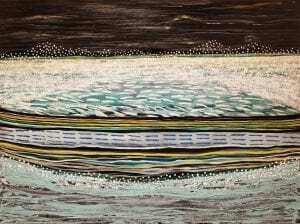 Sandra Charles began her arts career exhibiting batik fiber artwork. 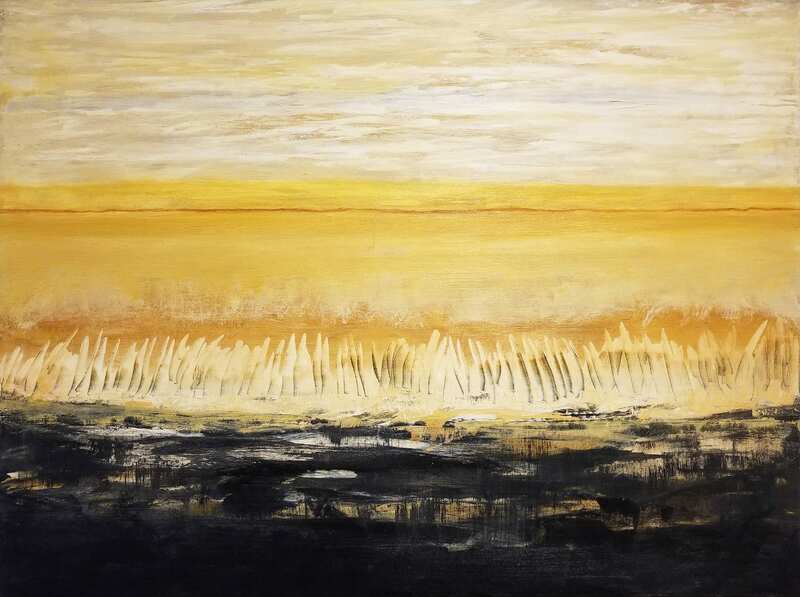 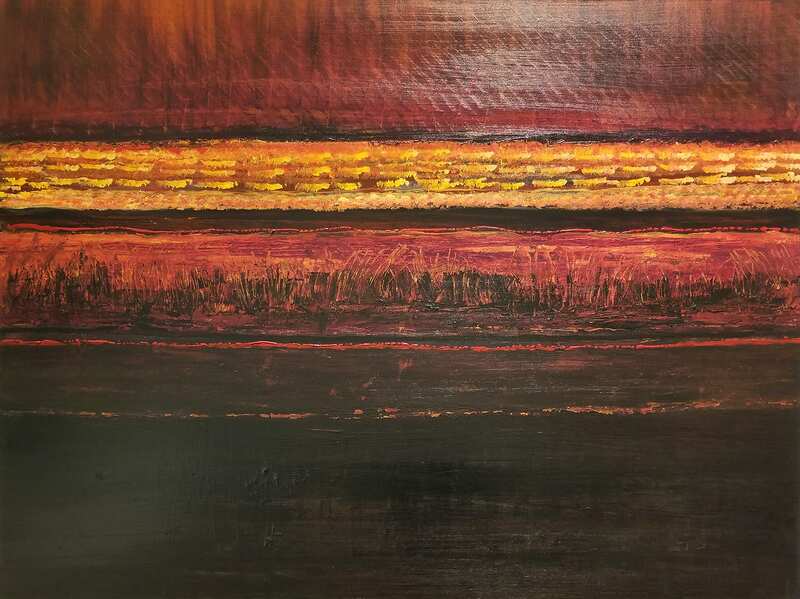 She shifted her focus to working on canvas after going back to school and earning a Bachelor of Fine Art degree in painting from the University of Louisville in 2015. 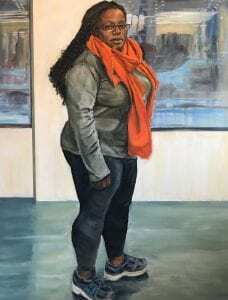 In 2016 she retired from her day-to-day job to work full time as an artist. 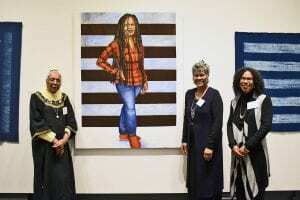 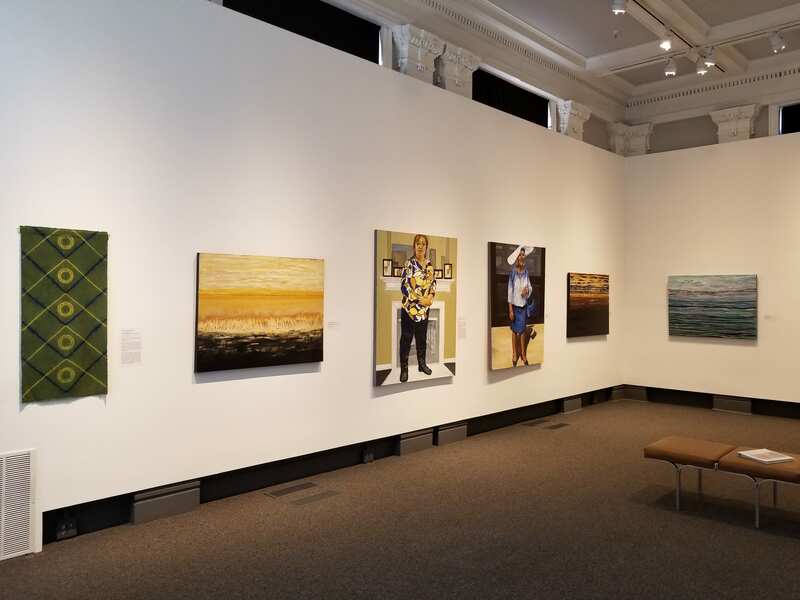 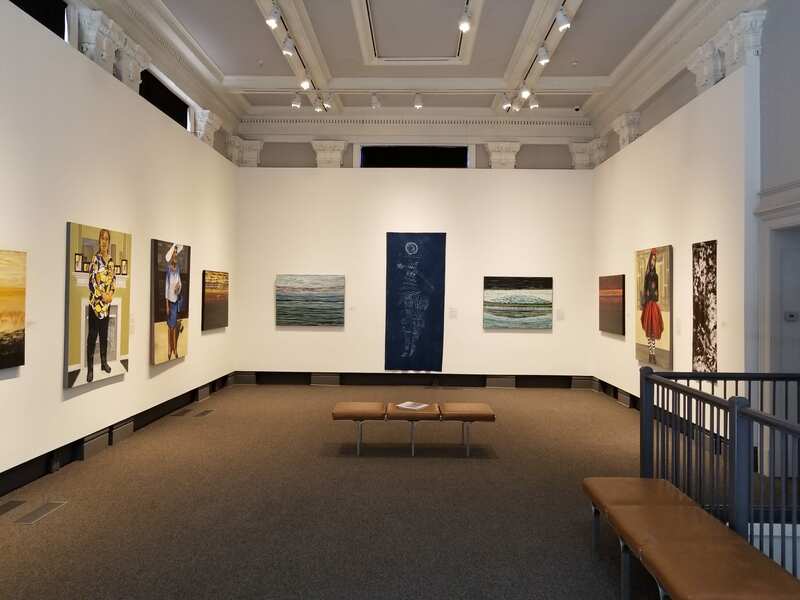 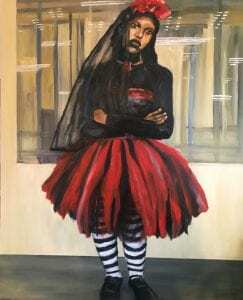 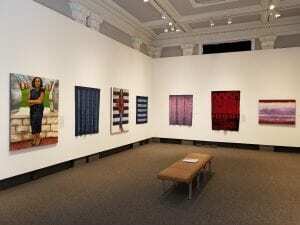 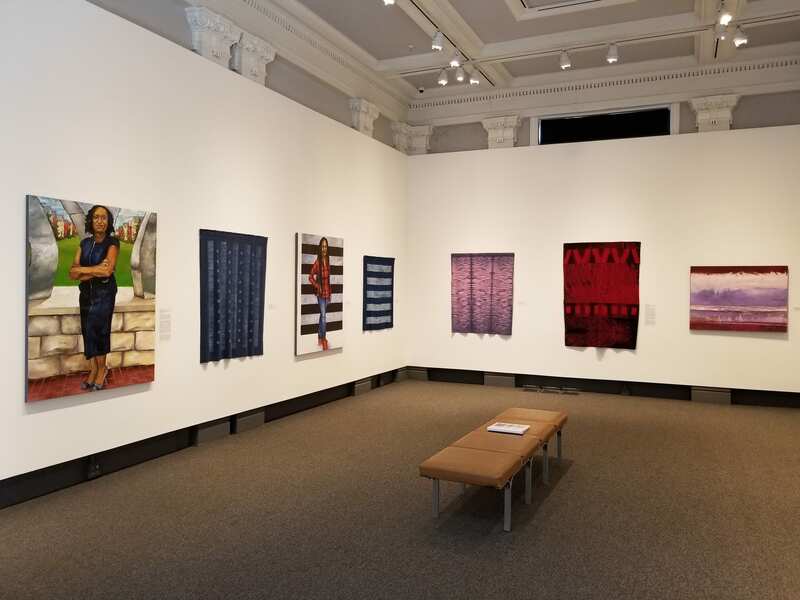 It was in the summer of the same year that she received a Kentucky Foundation for Women (KFW) Residency Grant, which led to The African Warrior Queen Project exhibited at Art Sanctuary Gallery. 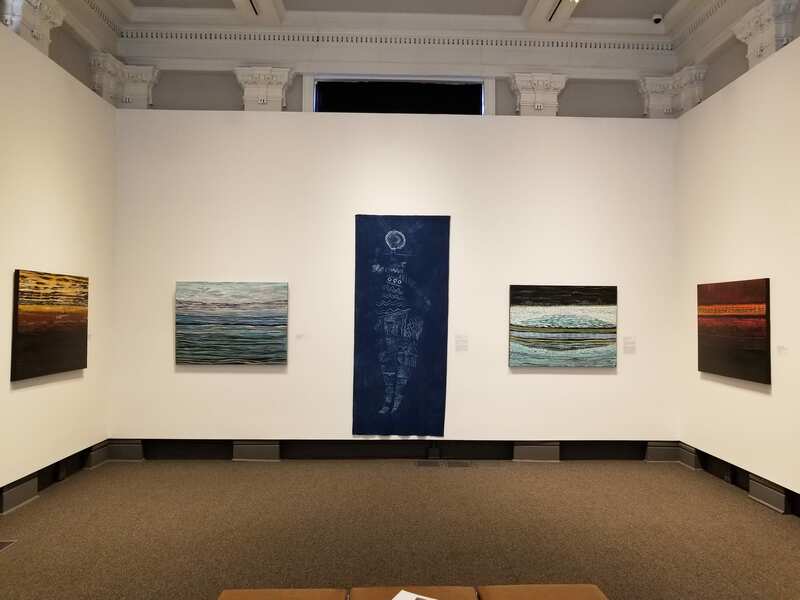 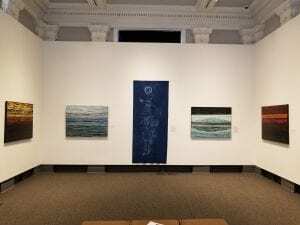 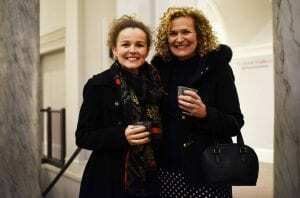 She has also had multiple solo exhibitions at Wayside Expressions Gallery, and has been included in group exhibitions at the Kentucky Museum of Art and Craft (KMAC) and at Actors Theatre of Louisville’s Roanne Victor Gallery. 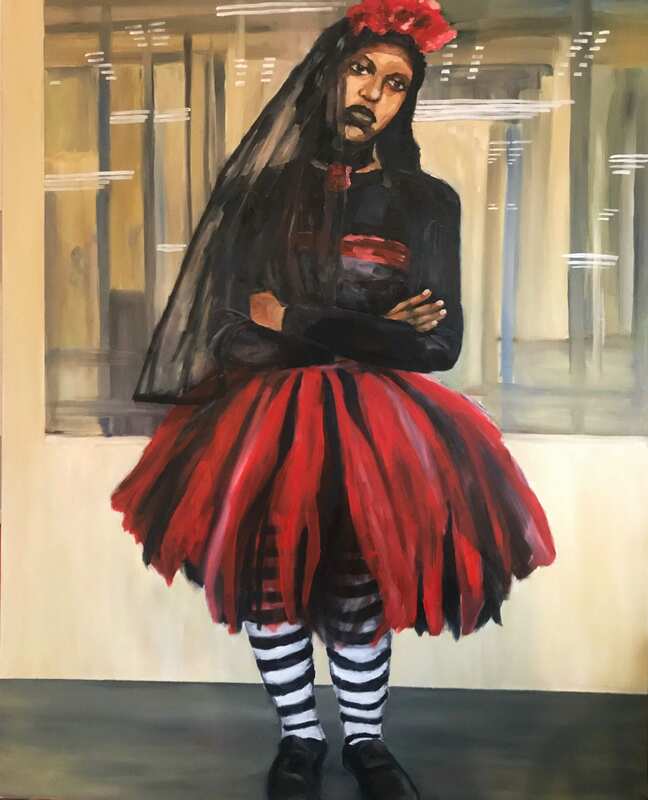 In addition to her KFW grant, Charles has also received the Mellen-Oberst Family Merit Award for painting and was one of 15 artists selected in the 2017 Hadley Creatives – Community Foundation of Louisville. 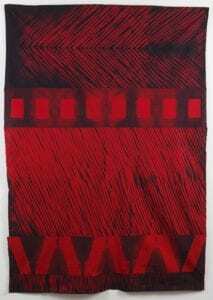 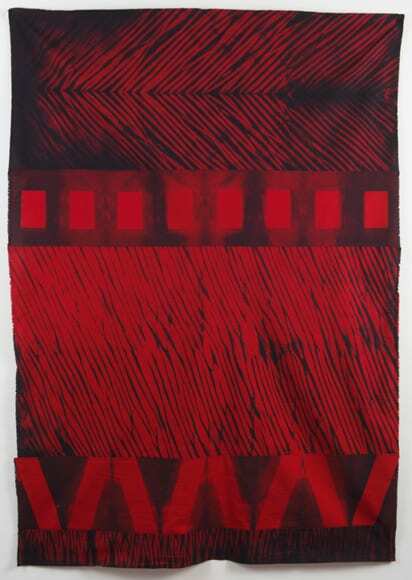 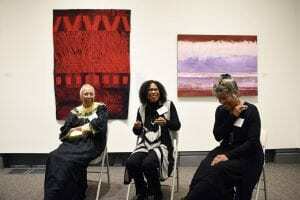 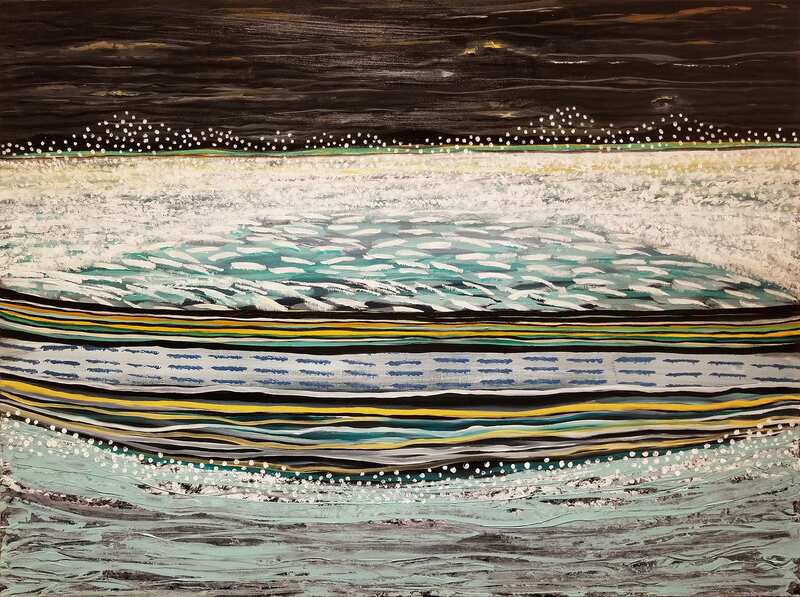 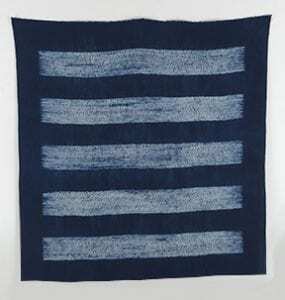 Barbara Tyson Mosley has been an abstract painter and fiber artist for over 40 years. 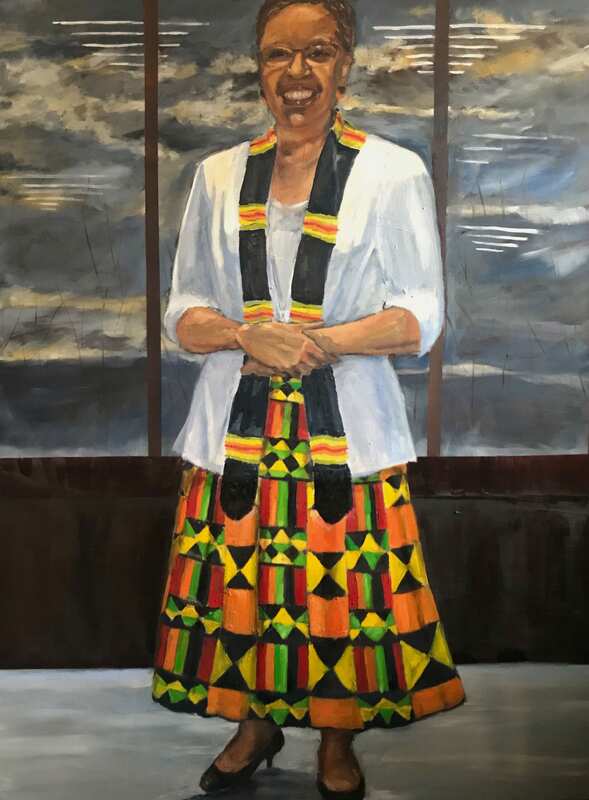 She earned a Bachelor of Arts degree in Studio Arts/Painting from the University of the District of Columbia and a Master of Arts in Liberal Studies/Humanities (20th Century Art History) from Georgetown University in Washington, D.C. 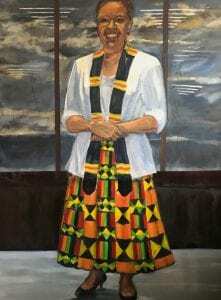 Her work has been shown throughout the U.S. and Canada and is housed in permanent collections at the San Bernardino Museum of Fine Arts, Redlands, California; the Corcoran Gallery of Art (Evans-Tibbs Collection of African-American Artists) in Washington, D.C.; and the University of Virginia Medical Center in Charlottesville, Va. 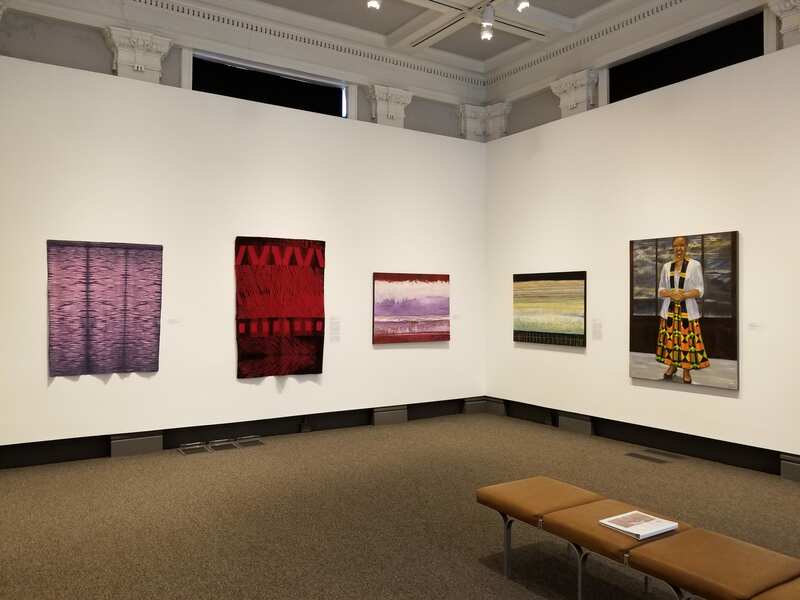 Her work has also traveled extensively with the Smithsonian Institution’s Traveling Exhibitions Service (SITES) from 1989-1991. In Kentucky, she has exhibited with Project Women (a.k.a. Family Scholar House), Louisville, KY; the Berea Arts Council, Berea, KY; the Carnegie Library for the W.C. 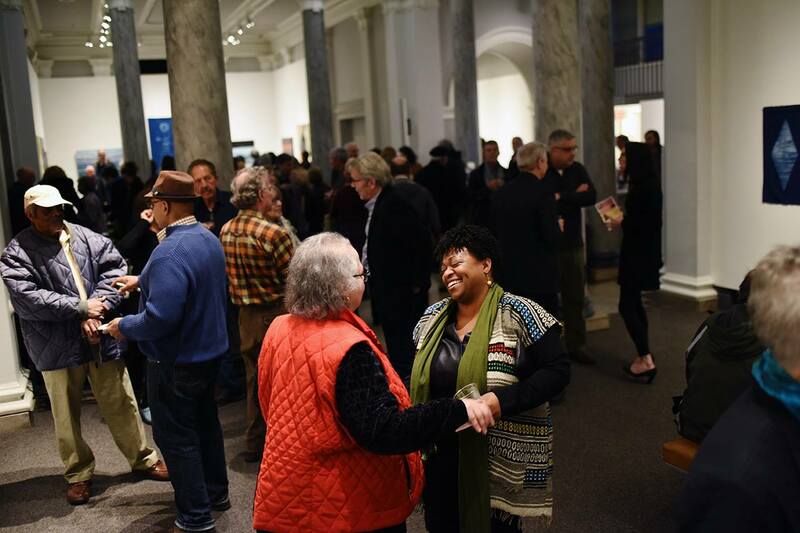 Handy Festival in Henderson, KY; and has been included in multiple African American Art Exhibitions at Actors Theatre of Louisville, where she received a Mr. and Mrs. Thomas Mueller Award and a Brown-Forman Purchase Prize.